Senggigi is Lombok's oldest and most famous resort area. 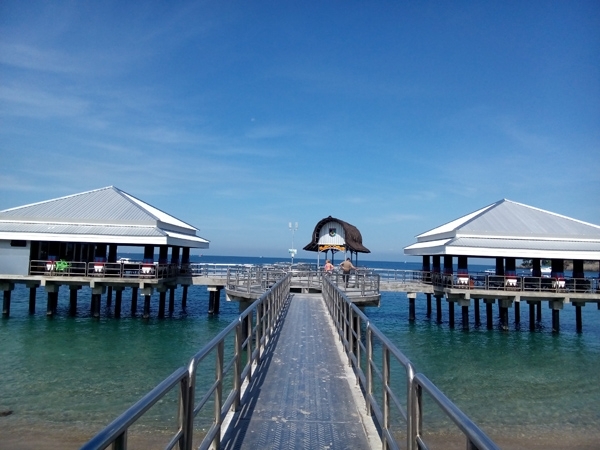 provides shelter to a variety of marine life and exquisitely shapped coral and makes it a perfect place to snorkle. port for the Gili Islands. Along the way, a fantastic scenery of the north west coast of Lombok. Most travelers start or end their stay at Senggigi because of the easy access to Mataram Airport and accommodations options are available to all budgets. 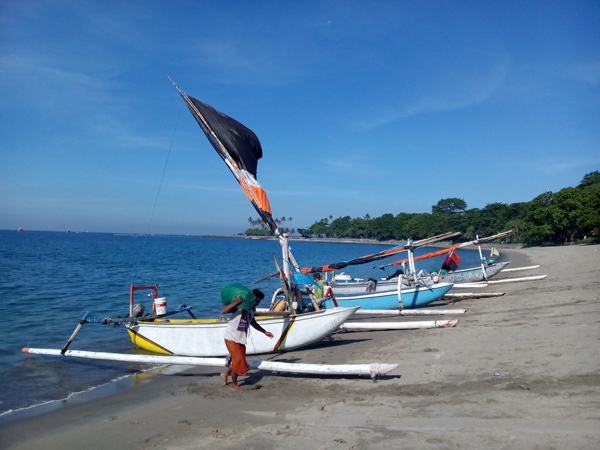 If you are frugal or intrepid and take the slow ferry from Bali, it's best to arrange transport in advance from the ferry dock to Senggigi, since the dock on the Lombok side is in a remote spot several kilometers south of Mataram. 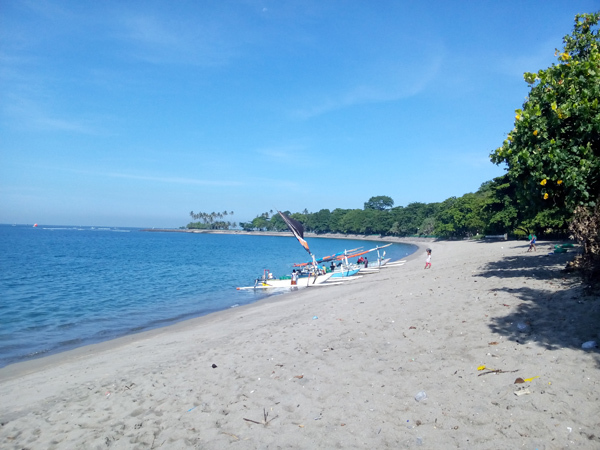 Swimming off the beach is safe, you can also do some canoeing here in Senggigi. Visit Pura Batu Bolong on a rocky point south of Senggigi. There's good snorkeling off the point and in the sheltered bay around the headland. 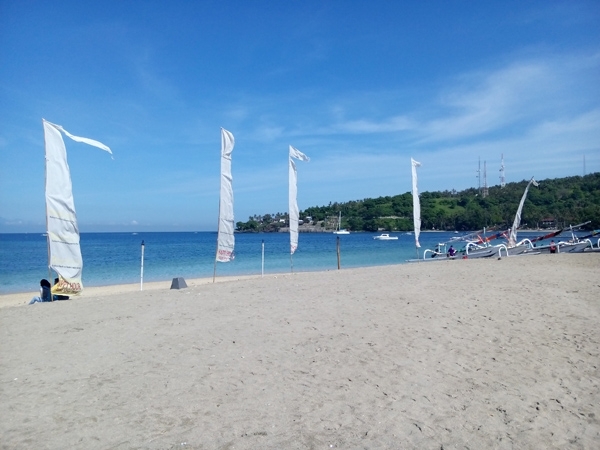 From here you can arrange plenty of activities complete your holiday on Lombok. Sightseeing or touring organized by reputable local tour operators is the best option to discover what Lombok has to offer. Renting a car or motor cycle is also good alternative to get around, either self-driving, or with a driver so you can relax and enjoy the view. Car rental in Lombok is more expensive than Bali. Tip driver pocket money for meals if you stop for lunch or diner. If you are pleased with service, tip the driver or local guide at the end. If you collide with anything, or it collides with you, you are responsible for all costs. There are various foreign and local restaurants that offering international and local foods, cafes and entertainment venues. 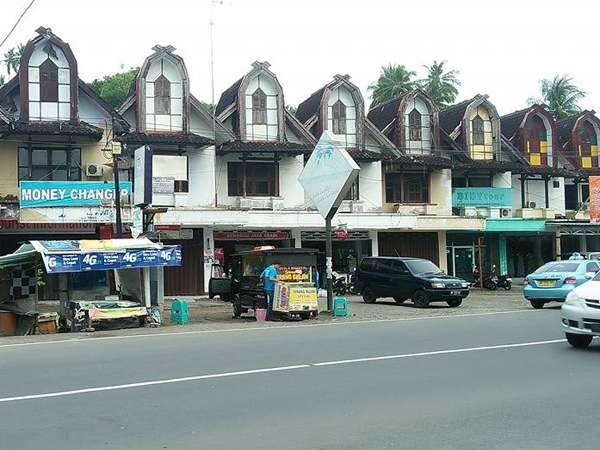 These all are available along the main Senggigi road and on certain areas along the beach. For inexpensive eating, try the food stalls along the beach, especially at the end of the road past the Senggigi Beach Hotel. 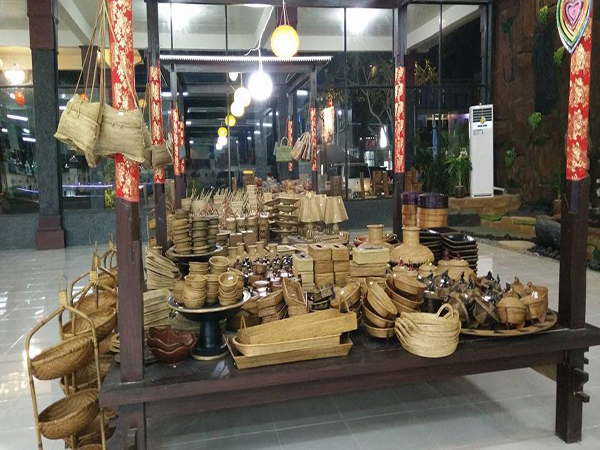 There are many souvenir shops along the main Senggigi road that offering you many kind of Lombok souvenir, starting from clothes, paintings, handicrafts, wooden crafts, etc. There a lot of diverse range of hotel accommodations that you can choose to stay in Senggigi, from deluxe four-star resort properties to simple home-stays, Such as Holiday Inn, the Oberoi, Sheraton Senggigi, Melati Dua Cottage, Pool Villa Club, Panorama Cottage, and many more. Wheelchair ramps and van lifts are non existent. Many major hotels have limited handicapped facilities and accommodation. Advise your tour operators or hotel for special assistance. Mail : Senggigi Post Office located on the main street of Senggigi, opposite from Pamour Art & Antique shop. Internet Cafes : Millenium Internet (opposite Papaya Restaurant) and Star Internet Service located in Senggigi Plaza with dedicated broadband speed at reasonable rates. Health Centre or Puskesmas: located near Hotel Puri Saron. 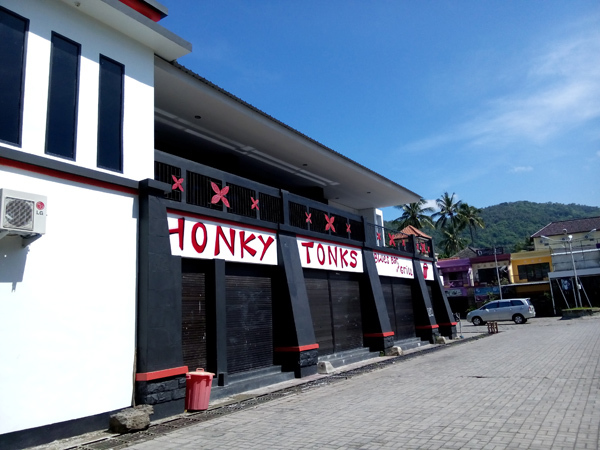 Drugstore, Apotik available next to the gate of Intan Lombok Hotel. Dentist available at Meninting Puskesmas 10 minutes drive from Senggigi towards direction to the airport. Bank : BNI Bank available during office hours 5 days a week located near the Post Office. ATM's (Automatic Teller Machine) are easy to find. ATM BCA, ATM BNI, ATM Mandiri are available, you can swift your credit card and withdraw local currency IDR (Rupiah). Police office: located in Senggigi Art Market, near The Sheraton Senggigi Beach Resort. Telephone Service: available near Melati Dua Hotel. Cellular phone in Indonesia is GSM and CDMA. If you have brought your cellular handphone, you can purchase prepaid calling cards to make outgoing calls at lower cost than calling on your home SIM. Shops which sell these cards are prolific. Major service providers are: Telkomsel, Satelindo and XL Ritel. Look for signs and banners with those markings. 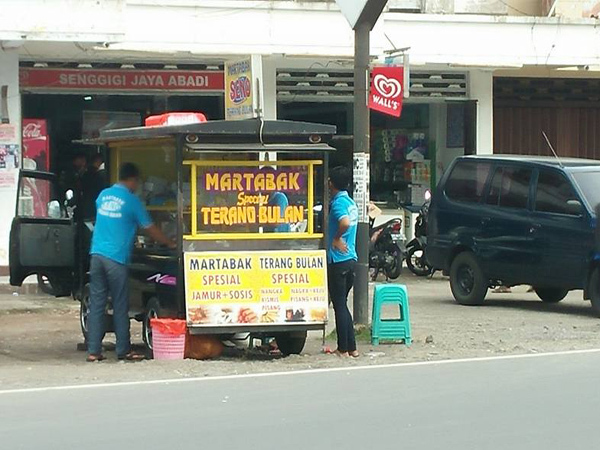 Money changers: available almost in every corner of Senggigi. Double count your money before leaving the money changers to get the accurate amount. Hotel reception also change foreign money with lower rates. Mini markets: located next to Bank BNI and near the Papaya Cafe. Most larger hotels and restaurants automatically add Government Tax and Service charge up to 21% to the bill. Tipping is expected in main tourist area, but you're not compelled to tip at restaurants. If you like your driver or local tour guide, a tip of 10-15% is appreciated. Carry small changes with you as taxi drivers often have none.